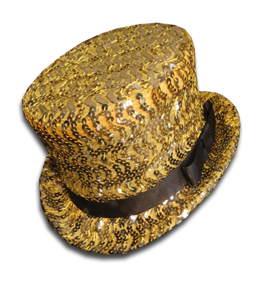 Columbia's Closet: Columbia Top Hat Raffle! 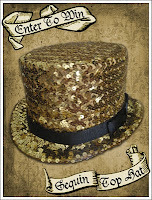 Stop by my costume booth at the 4711 con and enter to win a Gold Sequin Top Hat! It's free to enter with any purchase made at my booth OR you can buy tickets for $1/entry. Online purchases are not eligible. 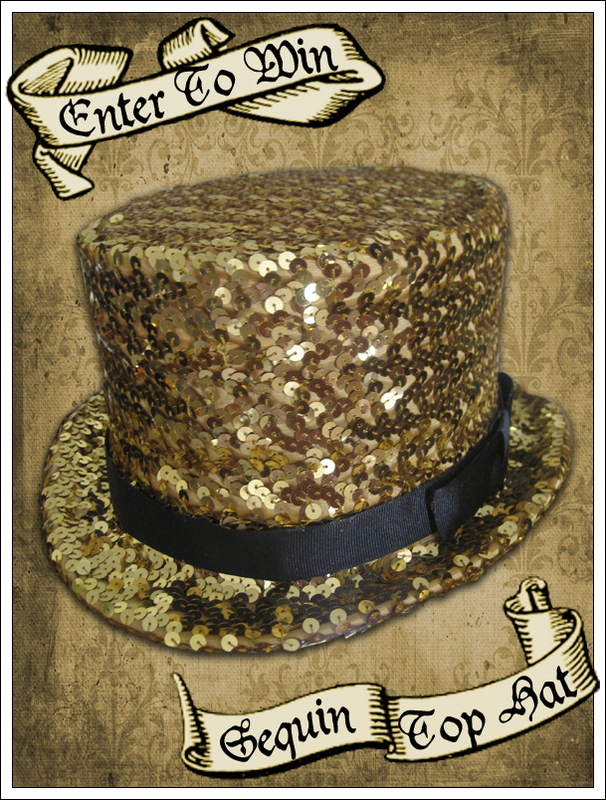 Raffle is for the actual hat shown in the photo (only the background of this image has been modified). The hat will be on display at my booth. The hat is approximately 23" in circumference, but can be sized down precisely with adhesive hat foam strips (complimentary). 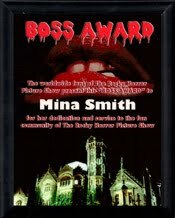 The winner will be notified at the time specified by their method of choice (call, text or e-mail) and will have 1 hour to respond before another name is selected. Prize is not exchangeable. Not all gold sequin fabrics are the same - this one is a littler darker than some (more gold, less yellow).